Redefining social media networking with the vanishing photos and videos, Snapchat is the latest sensation for all the Social media freaks, especially among the teenagers and young adults. Apparently, there are a number of people who just love to snap with this social media app, while sending the photos, videos secretly without leaving any evidence. The application was founded by Evan Spiegel and Bobby Murphy for the people who want to send their pictures and videos privately without letting the people copy them. Despite their best efforts, there have been a number of ways that can be used to do so. But obviously, the success of Snapchat is for being fun and fantastic. So, if you want to snap with Snapchat, here are the things that you need to know. As mentioned the app was developed by Evan Spiegel and Bobby Murphy and it went out for the public in the year of 2011. On its early days, the app was used to have a simple design with fewer features, but with the increasing public demand for the Snapchat, its features started to increase and its interface went towards complexity. 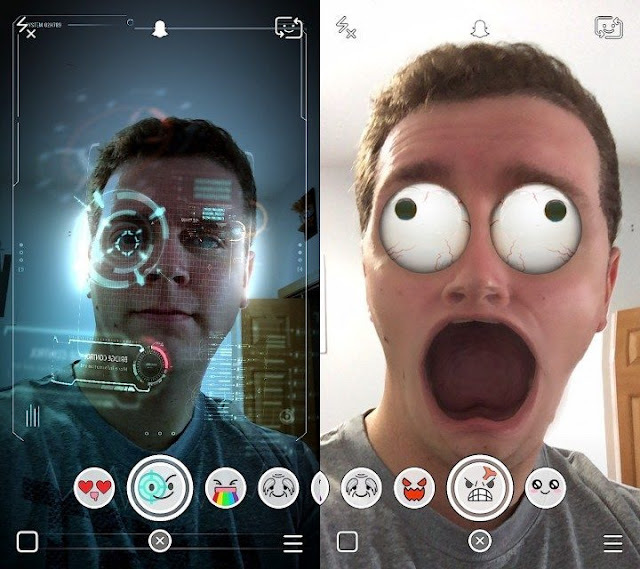 Moreover, you can experiment with different filters and face effects that are the most loved features of Snapchat. Here’s what more this famous app can do. Although the update of May 2014 increased the complexity in the UI of the app, but the same update offered the real-time video chatting features. The video chatting feature of the Snapchat is much easier to use and really quick then to dial the Skype account call. With the highest quality and without any sound interruption, you can end up having the best video call with your friends or your loved ones using this app. The thing for which Snapchat is famous for is sending snaps. Along with the video calling feature, the Snapchat allows the users to send their photos, video recordings with a single tap. Add the fun filters, special effects and more to your snaps for added fun. You can also import your pictures and videos from your Gallery as well for your convenience. The best part of sending snaps in Snapchat is its timer that you set while sending the snaps to your contacts. There is a limit of 1 to 10 seconds and you can select within the limit and after that, your snap would automatically disappear. Moreover, if you try to take the screenshot of the snap, the sender will know with a notification. The app also offers you your personal collection of photos and videos with the “memories” category to allow you recall your best time in your hours of need. Not only this, you can also discover the events and stories from all across the globe, to keep pace with the fast advancing world. The Snapchat allows you to see your friends’ updates via “Stories” every day so that you can remain in their touch.